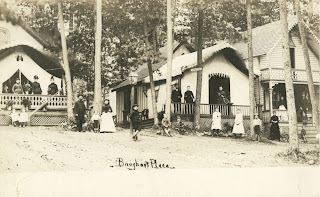 One of Parsippany’s best kept secrets is the historic Victorian Camp Meeting community of Mount Tabor. 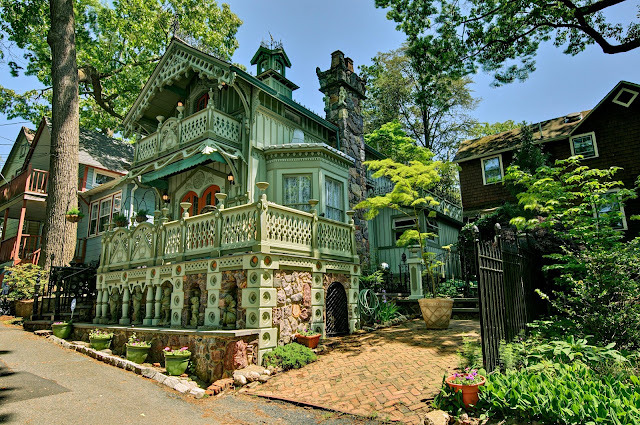 First time visitors to the town are always surprised to find a quaint village tucked away in the middle of busy Morris County. The town is set on a hill, with gently curving one-way streets lined by Victorian cottages. small cottages started springing up in these tight spaces. 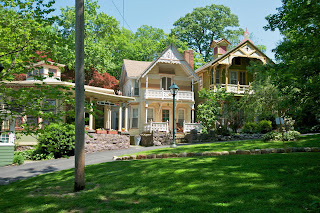 Today the town is as close-knit as the homes in it; having established itself as a haven for Small Town living within the bustling Parsippany area. Inside its borders, Mount Tabor offers playground facilities, 3 beautiful Parks, a Public Library, full service Post Office and a Golf Course with Clubhouse facilities for members. Mount Tabor is known for its vibrant, artistic and family-friendly environment. The Town boasts many annual activities for its residents including a House Tour, the Children’s Day Weekend and Parade, concerts on Trinity Park, Holiday events and gatherings of local Musicians and Crafters throughout the year. There are many volunteer organizations within the community, including a very active Historical Society with its own House Museum, Volunteer Fire Department and a Garden Club, which maintains beautiful plantings throughout the town year-round. 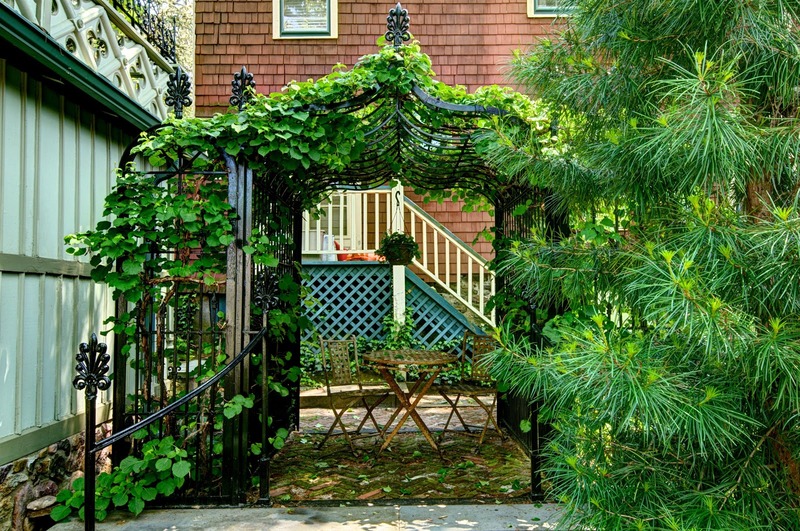 The town’s cottages are distinctively styled – often with meticulously crafted wood trim in a style known as Carpenter Gothic. Simple Summer cottage layouts lend themselves beautifully to modern living. These open, compact floorplans make them a perfect condo alternative for buyers seeking a low-upkeep property with personality and a sense of community. 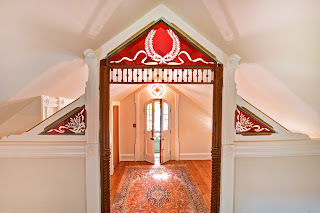 I have the privilege of listing one of Mount Tabor’s finest homes for sale. Even in a community known for its beautiful Victorian cottages, 12 Banghart Place stands out as a crown jewel. This exceptional home has been lovingly restored and updated with the finest materials and craftsmanship. 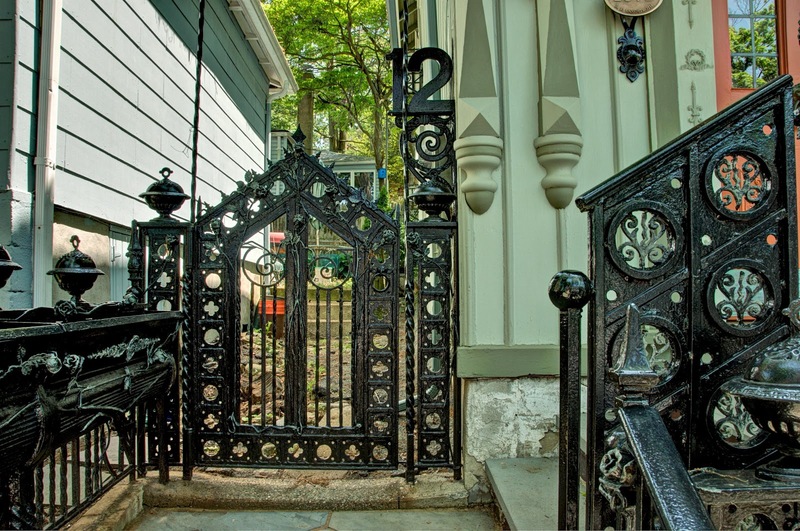 Decorative ironwork, ornate gingerbread and whimsical details abound throughout. The dramatic double door entry features doors salvaged from the historic Morristown Library. 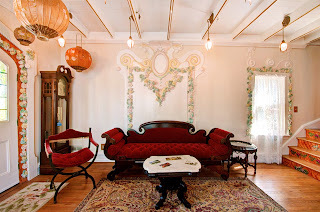 The light-filled Living Room offers the original beamed ceiling, antique light fixtures, a bay window with stained glass, floral plasterwork accenting the walls, windows and door frame and a wood-burning stove. The Dining Room offers an ornamental slate FP surround and picture window. The ideal Dining spot! The up-to-date Kitchen features cherry cabinets, Corian counters, a door to the yard and Powder Room. 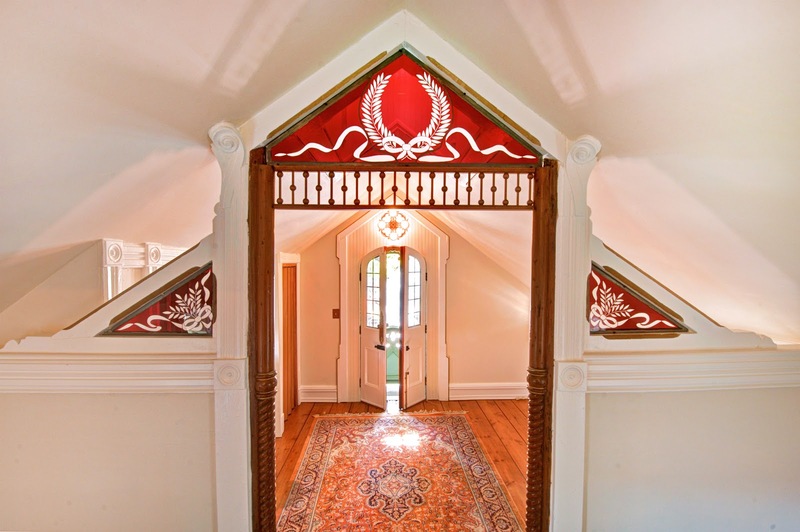 The Second floor offers a classical carved niche over the stairs and wide plank heart pine floors. A Sitting Room leads into the Master Bedroom through a gingerbread and German flash glass accented archway. The Master Bedroom features abundant light streaming in through its cupola skylight and double doors to balcony. The Bath is fully remodeled with an antique pedestal sink, claw foot tub, built-in oak linen cabinet and timeless black & white tile. Full Basement w/door to yard, full-height ceilings and room for your workshop or exercise equipment. The yard is your own low-maintenance personal oasis. Herringbone laid brick drive leading to terraced patio. Perennial plantings provide year-round color and a wrought iron Gazebo offers beauty and serenity. (973) 335-4600 or visit my Website.